I still own a bunch of these. 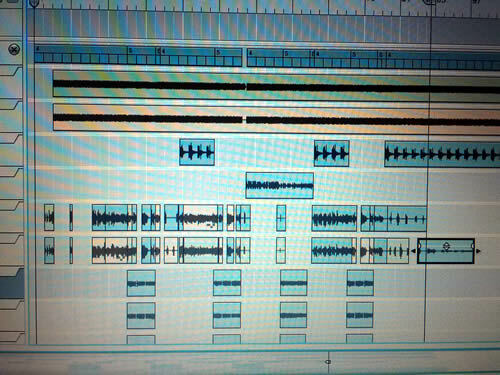 I finally finished comping vocals for “I’m a Reader,” the upcoming single by The Jerrys—a huge task! 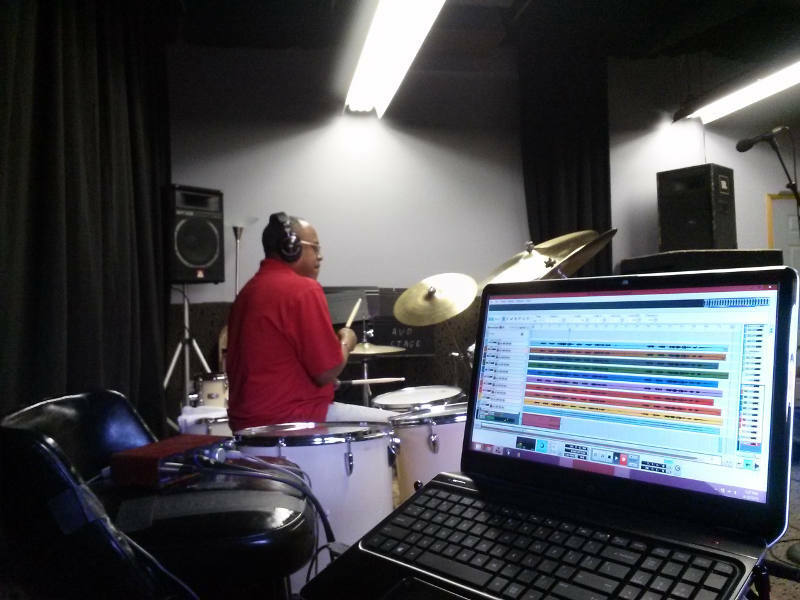 After reading Mike Senior’s Mixing Secrets for the Small Studio earlier this month, I created a checklist of ten things to do to prepare a recorded song for mixing. My process has always been a bit too haphazard, so I plan to use this checklist to ensure that I never miss an opportunity to make my music sound better. As these can be tedious, time-consuming tasks, many top-tier engineers give them to assistants to perform, but that’s not an option for those of us in home studios. If you’re a home studio user, feel free to use this checklist to better prepare your recordings for mixing. For more, be sure to check out Mixing Secrets for the Small Studio. My first multitrack recording machine was a used 1969 Akai M-10 reel-to-reel recorder that featured a built-in amplifier and auto-reverse capability. This machine was the only in Akai’s M-series (ca. 1960-1973) to have three motors, and it operated at tape speeds of 1-7/8, 3-¾, and 7-½ inches per second. Before the M-10, I had been using portable General Electric tape recorders to bounce tracks around, so this machine was a nice step up for me. Nearly a decade ago, I began using a digital audio workstation of the studio-in-a-box variety to produce the music of The Jerrys. 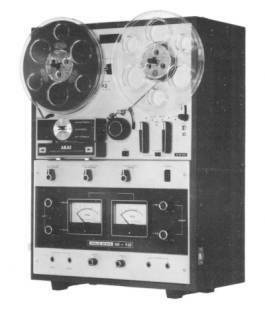 Switching from magnetic tape recording to digital recording transformed the way I made music. In terms of editing alone, digital changed everything. For audio recording using a lot of tracks, I needed not only a laptop dedicated to audio recording, but one with some muscle. With a quad-core processor, 8 GB memory, and a 750 GB 7200RPM hard drive, this notebook delivers. 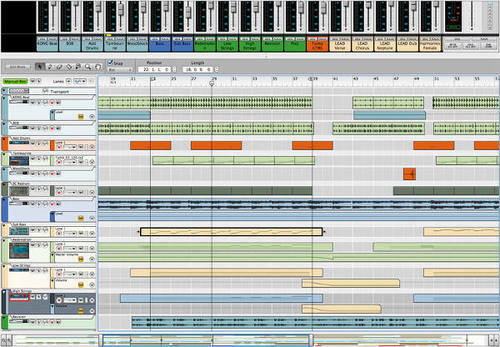 Released in late April, Reason 7 is the latest and the greatest software from Propellerhead. I based my decision to go with Reason solely on the fact that Todd Rundgren used previous versions of Reason to create his last few albums. I needed something that would record guitars well, and if it’s good enough for Todd, it’s good enough for me. This basic audio interface does an awesome job of getting sounds into and out of my laptop, and as actual sound recording (guitars, vocals, tambourine, etc) is a big part of my music, that’s essential. I especially like the ring LEDs around the knobs that change from green to amber to red to indicate signal and clipping. While I used to think of my microKORG as only an audio device and not a studio component (ie, as only an instrument), it will now also function as a MIDI controller. I’ve never used MIDI in my music, but there’s a lot I can do with it in Reason, and I’m more than open to the possibilities. It doesn’t take a George Martin-type to know how good these little speakers sound. You can spend a lot of money on monitor speakers, but I didn’t, and I’m glad, as these work great. 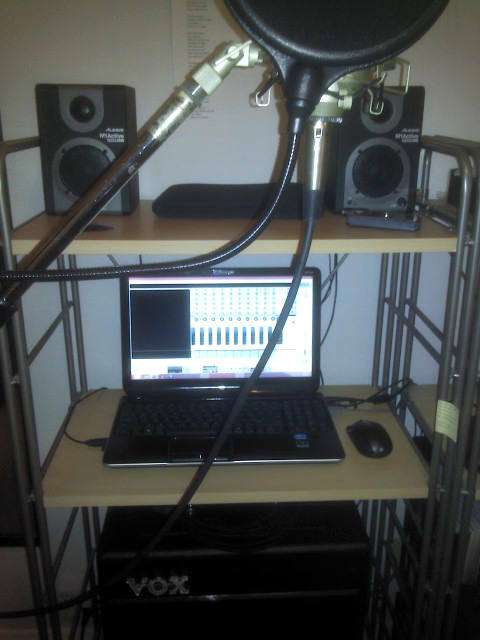 As mentioned, I’ve been recording using the new setup, and so far I love the way everything sounds. I look forward to releasing music that was made with the new studio.